Meanwhile, an eyewitness saw Roberts, 28, and Hedlund, 34, walking together in the Silverlake neighborhood of Los Angeles. The Triple Frontier star “had his arm around [her] for a bit and then they were holding hands,” the eyewitness tells Us. “Garrett and Emma have been friends, but this is new, casual, and just a couple of weeks old,” another source says of the budding relationship. 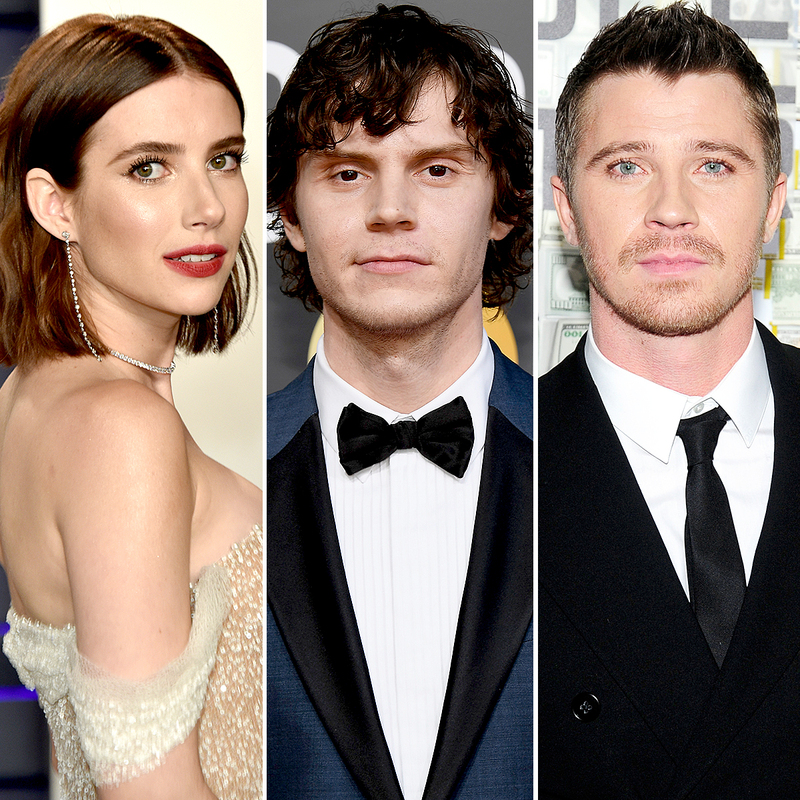 Roberts and Peters, 32, started dating in 2012 after filming the indie comedy-drama Adult World, later sharing the screen across four seasons of American Horror Story. The pair got engaged later that year, but they took months-long breaks in their relationship in 2015 and 2016. In October 2017, a source confirmed to Us that the Scream Queens alum was at the center of Rachel Bilson and Hayden Christensen’s split the month prior, after Bilson, 37, found text messages that convinced her that Christensen, 37, was having an inappropriate relationship with Roberts, his costar in the film Little Italy. Despite the drama, an insider said that Roberts and Peters were “still very much together” the following month. For his part, Hedlund was in a relationship with his On the Road costar Kirsten Dunst from 2011 to 2016.